The Cameron Method – The most effective method for reducing your accent. The most effective method for reducing your accent. SUSAN CAMERON is a voice and speech teacher and professional dialect coach in theater, television, and film. As an educator, she currently is on the full-time faculty at Columbia University School of the Arts, as well as an adjunct Associate Professor at The New School for Drama. 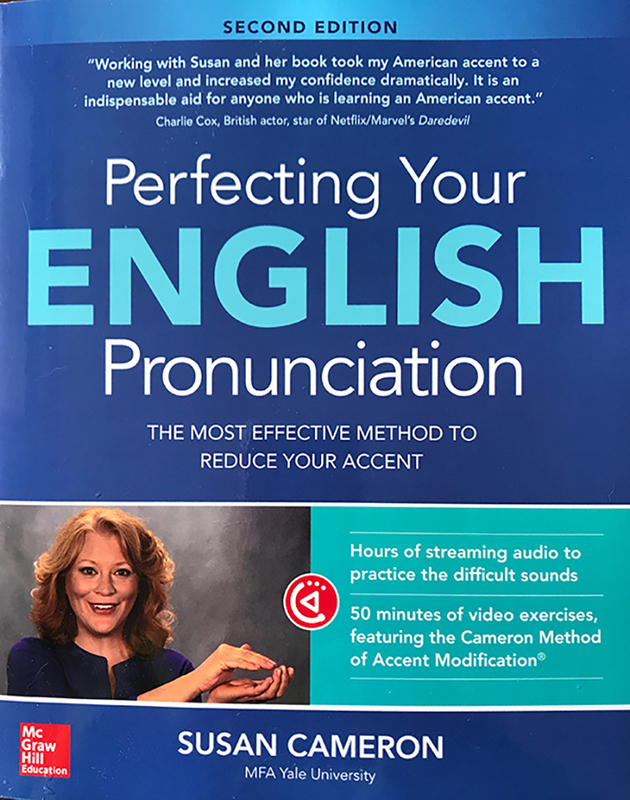 Susan was granted a trademark by the US government for the Cameron Method of Accent Reduction, which highlights her use of hand positions in syncing the articulators of speech. “Whether you are a non-native English-speaking business person or a native English speaker with an accent seeking career advancement, polishing up your speech with Susan Cameron’s technique should be at the top of your to-do list. The American National Theatre, Inc.
Sean Cullen President The American National Theatre, Inc.
Film Director - Beast On The Moon and The Syringa Tree.